We’ve all been there — that moment when you taste the final results of a recipe you were so excited about, only to realize you must have messed up somewhere because it’s not quite right. 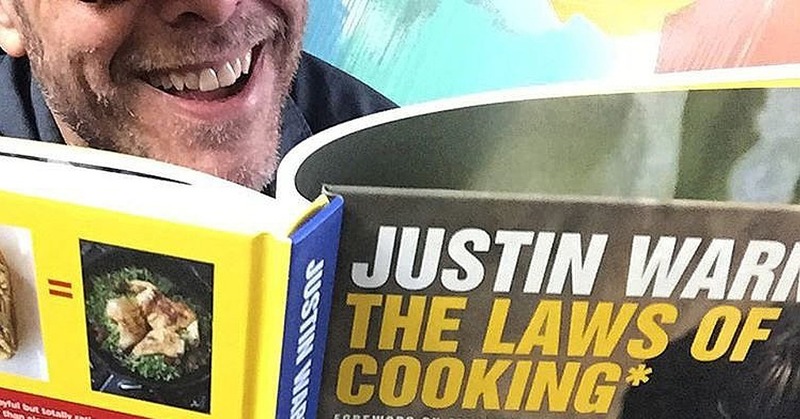 Alton Brown has a very, very simple solution to prevent that: read the recipe. Like, reallyread it. The problem, he claims, is oftentimes we don’t truly grasp all the necessary information when we do a quick run-through of the recipe before starting it. “According to my calculations, about 30 percent of the dishes prepared from written recipes go wrong because the cooks concerned didn’t actually read said recipe. Sure, we glance at them sideways, scan them, peruse them, peek at them, make grocery lists from them, but we rarely glean all the information we really need,” Alton wrote in a post on his personal site. Alton’s step-by-step process guarantees success, but his most interesting tip is something sosimple, yet so effective: bust out a highlighter. Seriously — take yourself back to elementary school and grab a highlighter or pen so you can mark anything you need to note (special preparation like chilling, special equipment, preheat settings, and so on). That way, you don’t have to scan the recipe over and over again as you’re cooking, which we all know can result in frazzled cooking, which leads to mistakes.